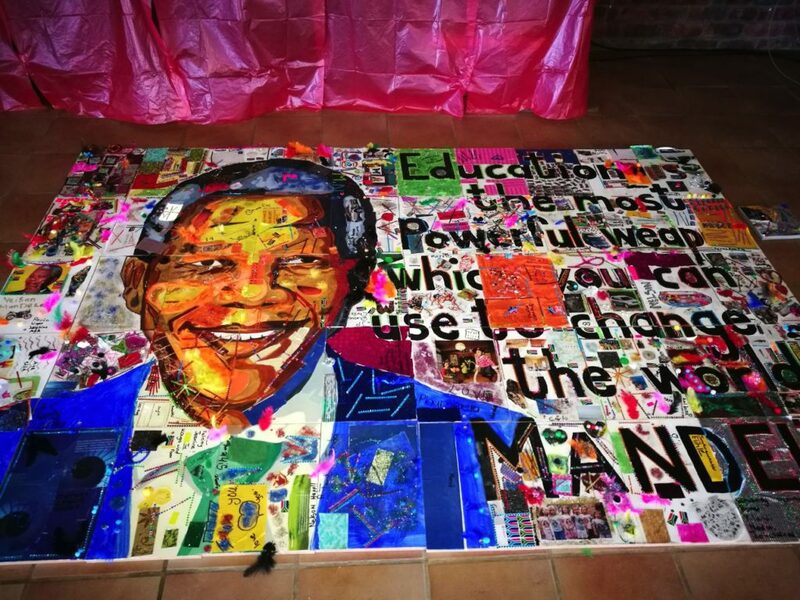 Children in the Umzamowethu community used art to commemorate the former statesman on Mandela Day and learn about the humanitarian values for which Madiba was universally acclaimed. 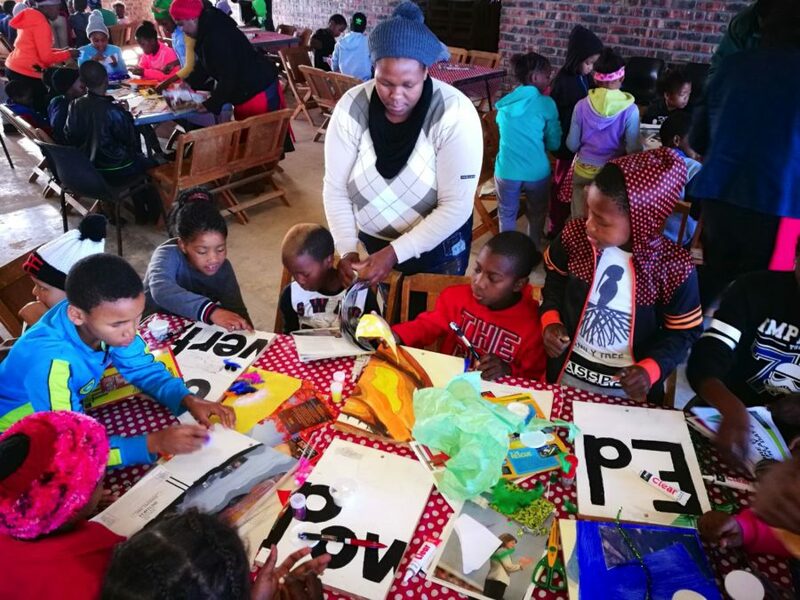 More than a hundred children from the local community were invited to take part in an initiative by the neighbouring Kouga Wind Farm, which saw them gather for a group art project at the Oyster Bay Community Hall. 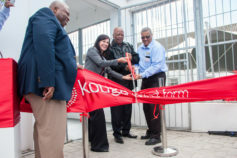 Guided by well-known Nelson Mandela Bay artists Bretten-Anne Moolman and Dolla Sapeta, the youngsters each received a mystery puzzle piece with basic outlines to colour in and decorate as they saw fit. He said the artwork was a tangible demonstration of the unique part that each individual played in creating “the bigger picture”. 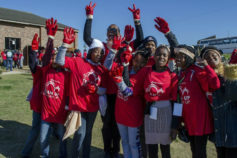 “It is extremely important that we teach our children about the founding values of our democracy, so that we can help them build a better future for themselves and South Africa as a whole,” said Arosi. 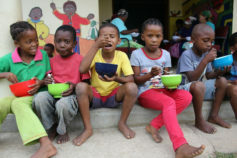 The youngsters were also treated to a short educational theatre production, The Story of Madiba, in which an interactive mix of songs, drumming, dance and storytelling, in Afrikaans and Xhosa, was used to reinforce the message of forgiveness and serving others. 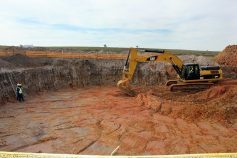 Arosi said the wind farm would approach the municipality with a request to hang the artwork in the community hall as a reminder of Mandela’s legacy. 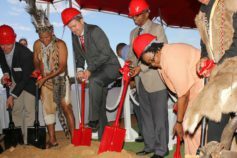 The initiative is one of more than R6.5-million worth of education and skills development projects funded by the Oyster Bay wind farm since its inception in 2015.